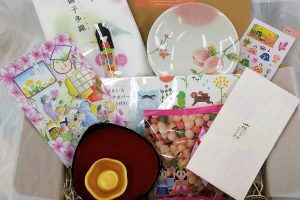 The theme of this February box is “Risshun” (Early Spring). 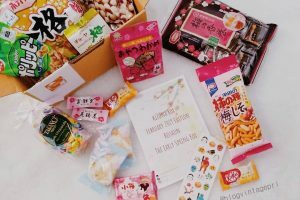 What is “Risshun” of this month’s theme? 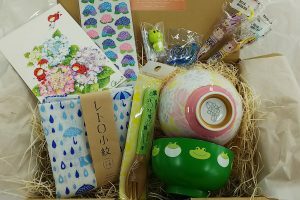 “Risshun” is first of the twenty-four seasons in the Japanese lunar calendar. It means the time to feel the signs of spring. However, it is still cold in the early spring of Japan. But, there are flowers blooming in it. It is “Ume” (plum blossom). 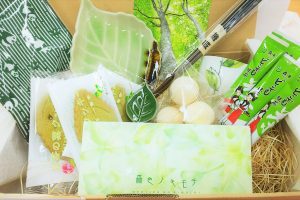 “Ume” is lesser-known flower overseas yet, but it plays an important part in Japanese culture. “Ume” starts to bloom in late winter. It is one of the first blooming flowers in the year. So it is a sign of the beginning of spring. Well, in February, the whole of Japan is the exam season. To Japanese, the symbol of shinto shrine for studying and learning is “Ume” blossom. Many students go to this shinto shrine which does the symbol of the “Ume” and pray for passing the exam. 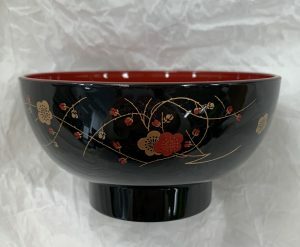 Speaking of plum blossoms, a classic motif that has been used in many different things since ancient times. The size is not so deep and slightly small, so it just feels fit for women or children. 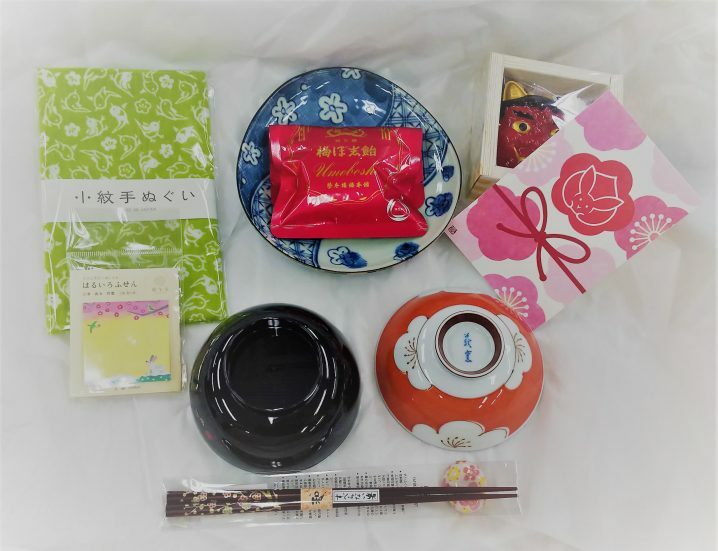 “Shiruwan” soup Bowl (1 item) A plum blossom as a motif, a bowl perfect for early spring. ※ incompatible：scrubbing, boiling, dishwasher, microwave oven and oven. Japanese-style plate designed with the auspicious design with a motif of plum blossoms. With the seasonal tableware, make the table nicer. The natural wood chopsticks lacquered by vermillion, it is painted of beautiful plum blossom. Cute chopstick rest with a motif of plum blossom. If you use it to a paperweight, it is wonderful. It is a nostalgic and retro patterned “Tenugui” (Japanese style handkerchief). 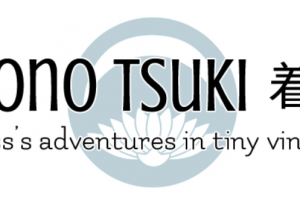 “Tenugui” can be used in various ways depending on the idea. It is 100% cotton made in Japan. 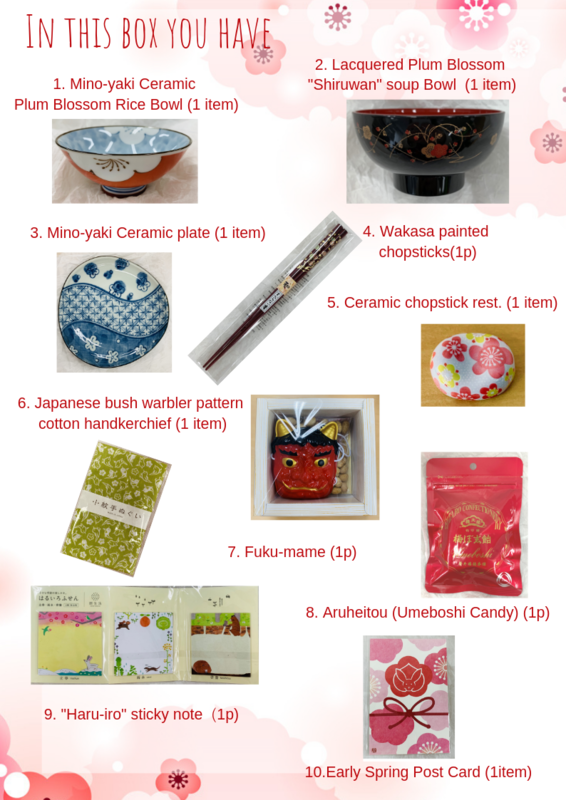 In Japan, we will hold an traditional event called “Setsubun” on February 3rd. 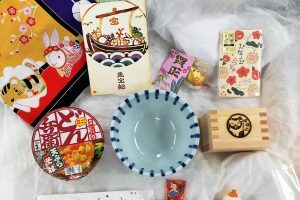 “Fuku-mame” is the beans which are thrown at that time. We throwing beans to drive out demons. But this candy is “Bekkoame” (tortoiseshell candy), and it is not sour like a pickled plum. Well, let’s have the fun of a small season in the sticky note. This three pattern is a motif as three seasons of the twenty-four seasons in the Japanese lunar calendar. 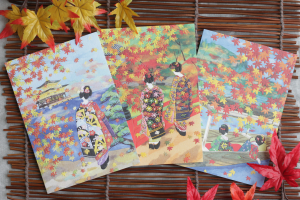 It is a card that resembles the traditional pattern of rabbit and plum blossum. It is a deep-fried snack with glutinous rice as a raw material, sweetened with sugar and salt. It is a soft jelly made of the plum of 100% Japan domestic. The taste of refreshing plum will spread to your mouth. 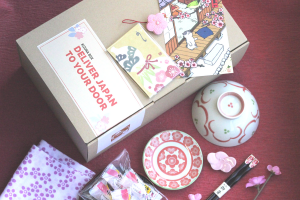 Package of Japanese pretty design. Her name is “Koume-chan”. 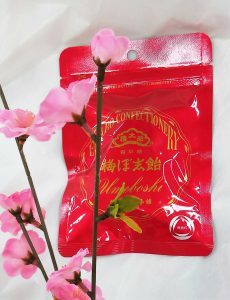 It is a small tablet that can enjoy the taste of sweet and sour plum. This potato chips using plum made in “Dazaifu City” in Fukuoka. “Dazaifu City” has “Dazaifu Tenmangu Shrine” which is the lucky place for students. 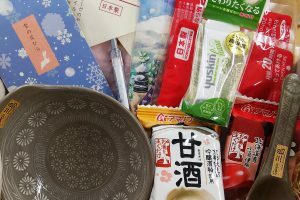 This snack is the item for passing the exam. “Iyokan” is a type of Japanese oranges of Japanese native species. 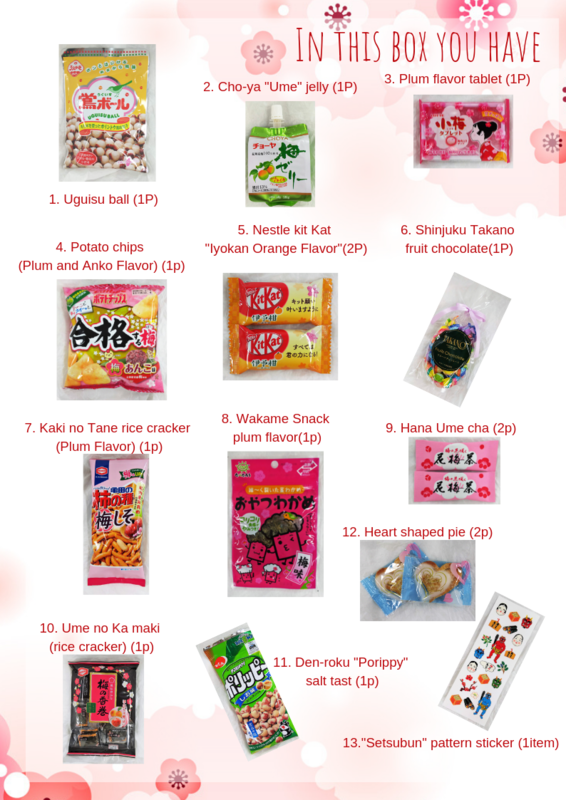 “Kit Kat” is widely popular as amulets of students in Japan. 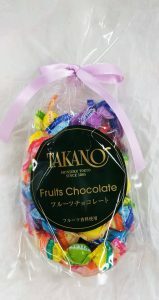 It is fruit chocolate that can enjoy 7 different flavors of milk, blueberry, strawberry, lemon, mango, melon, banana. 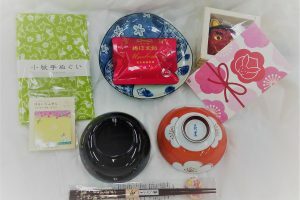 It is Valentine’s chocolate for you. 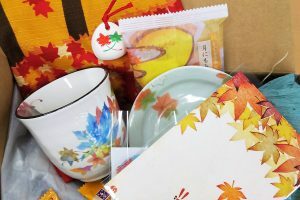 “Kaki no Tane” is a very famous Niigata prefecture’s souvenir. This snack’s flavor is plum sour. 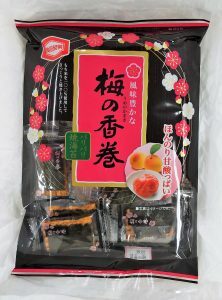 It is slightly ripped stem seaweed with plum flavor. It is plum flavored kelp tea. 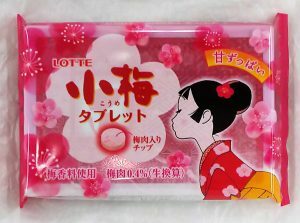 It contains cute plum blossom shape “Okaki” (rice cracker). This rice cracker is wrapped in dried laver. It’s using 100% of glutinous rice. This snack’s flavor is plum sour. 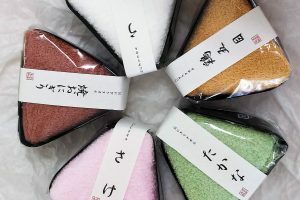 This item made from beans covered with salt made in “Souya” (northernmost tip of Japan). It is a crispy taste. Crispy texture pie, it is sugar butter flavor. 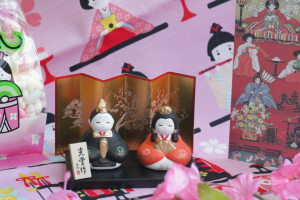 It is a sticker that imaged Japanese traditional events “Setsubun”.